We provide eBook Conversion services to Authors and Publishing houses to digitize books and release on many eBook reader platforms such Amazon Kindle, Google Play, Apple iBook, Barnes & Noble Nook, Kobo etc. DIGITAL DUNIA provides high quality complete ePUB conversion services and formatting from Word. Quark. InDesign. PDF and other input files to ePUB format. 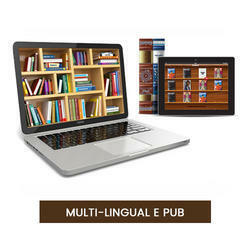 Our ePUB conversions strictly follow the standards set by the International Digital Publishing Forum. We convert published books to popular eBook formats – e Pub and mobi. Input can be the original applications files or the Print PDF. Using the in-house conversion tools we generate the e Pub file and mobi files. The styles varies with client and we render the output based on the specific requirements. An electronic book is a digital format, consisting of text, images both readable on computers or other electronic devices. We meet our client, elicit the top of the mind pain areas of the client, choose specific pain points and help solve the issues with our interventions. Our capabilities include conversion of any type of content to various eBook formats from different inputs such as application files, Word documents, scanned pages, hard copy, or PDF documents, custom XML, with high-quality standards and quick turnaround times. - Custom widgets to be included in ePubs. 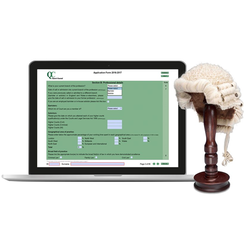 - Our Standard e Book Conversion include both .E Pub and .Mobi files. - we have e Readers like Amazon Kindle, Barnes and Noble Nook , Apple Ipad etc., provided to our designers to physically verify the files. - 100% ready to upload files. - Linked table of contents.